How does fall detection on the Apple Watch Series 4 work? The Apple Watch Series 4 has one key feature, which we hope people won’t need, but which is good to have. Fall detection will give many people peace of mind, especially people at risk having seizures, unexpected falls, or other kinds of conditions which could unintentionally make a person loose conscience. If we take a deeper look at general medical data on accidents, then we will see a portion of people who are unable to call an ambulance in an emergency situation for various reasons, but the main reason being that the affected person is physically not able to call anyone. By default, fall detection is turned off for people under the age of 65 (the age is being set in the Health app). 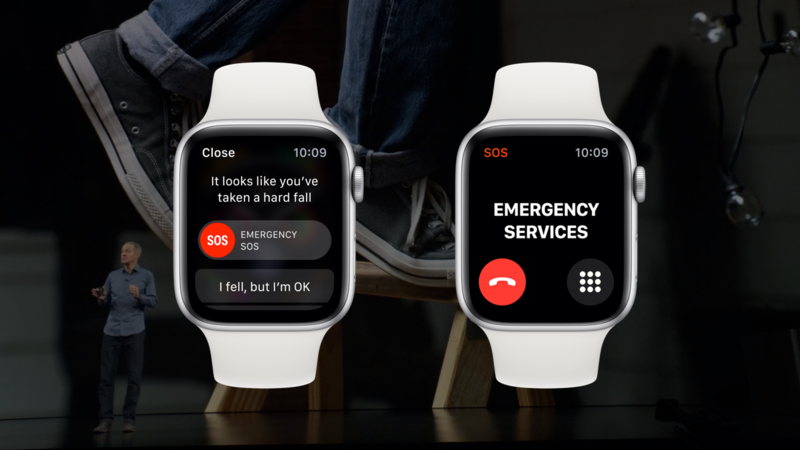 To activate it if you are younger, go the Apple Watch app on your iPhone, scroll down to Emergency SOS, and turn on the fall detection switch. Also make sure to watch the WSJ Apple Watch fall detection testing video below.